How Much Does Pest Control Cost? - Alabama Exterminator | Bama Exterminating Co. 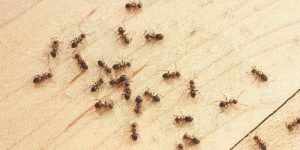 In previous blogs titled Leave It To The Pros and How To Choose The Right Pest Control Company, we told you things to remember when hiring a pest control company and why you should let a pest control company handle your pest needs. These are very important topics and should go a long way in helping you decide who to hire. Costs alone should not play into your decision! Economics deals with individual choice, but also with money and borrowing, production and consumption, taxes, and much more. Economics tries to explain how and why we get the things we want or need to live. As an individual, for example, many of us constantly face the problem of having limited resources with which to fulfill our wants and needs. As a result, we must make certain choices with our money—what to spend it on, what not to spend it on, and how much to save for the future. So why are you getting an economics lesson when talking about pest control? The reason is simple: when we have a need, we want to make sure we get the most bang for our buck. In regards to pest control, many people think all pest control companies are alike so price is all that matters to them. Many of these same people find out that the pest control company they hired can’t resolve their issues for many of the reasons mentioned earlier. Does a warranty back the services provided? Does the company you are considering have a good reputation (check their Google ratings)? Is the company you are hiring in good standing with the Better Business Bureau? 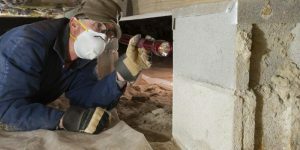 The cost of pest control should not be something that is terribly expensive, however, when dealing with termite control and bed bug control, cost can be higher. Our company has never been the cheapest provider of services and never will be. Our goal at Bama Exterminating has always been to provide an affordable service with exceptional value. We warranty our work and have always stood behind it. Price is important, but the combination of affordable pricing, reputation, and quality of service provided are the keys to getting the most value for your hard-earned money, and therefore resolving your pest issues. Many variables affect price also, including the type of insect being treated, size of yard, etc. Don’t worry however, the pest control experts at Bama Exterminating Company are offering you the opportunity to receive a free quote for our services. Get started today!